This product has been developed to provide a framework for organisations that seek to drive transformation to remain competitive and relevant in the fast changing environment. Factors such as increasing customer demands, disruptive competitors, internal legacy processes and company culture have created the need for this new framework. The guide and associated training program have been designed to help prepare organizations to successfully change the way they work. Each organization's approach to change will be different and this is reflected in this guide. The approach laid out in these pages must be tailored to the relevant sector, industry and organization. The purpose of the guide is to provide insights to why organizations need to transform and offer guidance to support a shift towards enterprise agility. 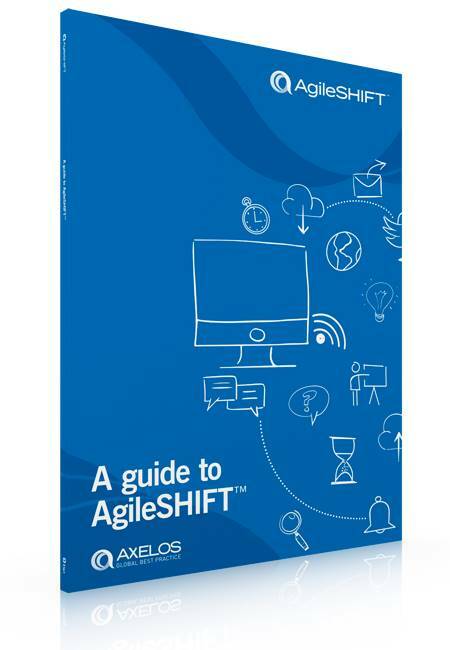 The AgileSHIFT guide, supported training and certification will help an organization and its people prepare for that journey and give it a greater chance of success. It has been developed from studying how organizations have customarily approached enterprise agility, through in-depth research and testing of the product. Encouraging the whole organization to be comfortable with and embrace the need for change and transformation. Demonstrating how a culture of enterprise agility is beneficial to organizations dealing with transformation, and identifying common barriers to success. Providing an overview of common Agile ways of working and how they relate to enterprise agility. Providing a simple agile framework for organizations and teams to adopt and embed.